Delivering customized solutions to a broader client base. Competing in tomorrow’s environment? Improve the value you deliver. Lower costs and increased productivity translate to higher value. By delivering low-cost, innovative online tools and automated services to the investment industry, Finlogik provides incumbent institutions and self-directed firms the opportunity to streamline their processes while embracing the same disruptive innovations that are currently challenging the business models of traditional financial firms. …a number of disruptors, from automated wealth management services to social trading platforms, have emerged to provide low-cost, sophisticated alternatives to traditional wealth managers. These solutions cater to a broader customer base and empower customers to have more control of their wealth management. In collaboration with an asset manager at the forefront of the process-based investing, Finlogik can help you design and manage efficient low-cost investment solutions suitable to both retail and institutional investors. 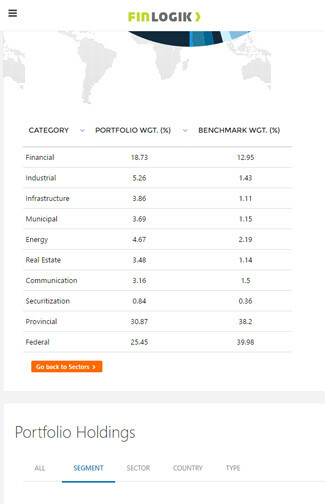 Analytical dashboards providing benchmarking, reporting and large scale data processing tools to help investors and investment managers assess their portfolio risk, exposure and performance. On-line portal providing self-directed investment firms with all the flexibility needed to offer many value-added services such as integration of social-based tools and automated portfolio (robo-advice) technologies. Cross-market compliance technology to help market participating firms carry out real-time multi-account surveillance. By partnering with leading execution firms, Finlogik can provide investment managers with a broad range of transparent and low-cost market access services combined with advanced automation and superior execution. By leveraging advanced financial models and automated algorithms, Finlogik empowers investment managers and self-directed customers with high-value advisory services on portfolio allocation and money management. By automating the management of bespoke investment portfolios based on customized needs, Finlogik enables investors and investment managers of all sizes to benefit from state-of-the-art investment optimization while reducing the minimum investment threshold and management costs. FINLOGIK is a Connected, Responsive, Flexible, Powerful platform. Leverage your existing devices and monitor your account on any connected device. At Finlogik, we develop a passion for financial innovation. Finlogik has been delivering value added fintech solutions for over 15 years. From family office to global investment manager or industrial treasury to megapole, Finlogik clientele is as broad as its financial technology knowledge. Hybrid cloud-based technologies from Microsoft Azure and Amazon AWS are at the center of our solutions. Cloud computing brings natural economies of scale. You can call it efficiency, or call it doing more with less. But whichever spin you prefer, cloud computing lets you focus on what's important: your business. Driven by the passion for financial innovation? You probably want to be part of the Finlogik community! If you're a self-motivated team player and want to be part of an organization focused on building the future of finance, we'd like to hear from you. Our offices are located in the International Quarter of Montreal. Give us a call to discuss the needs of your organization. Copyright © 2016 Finlogik. All Rights Reserved.